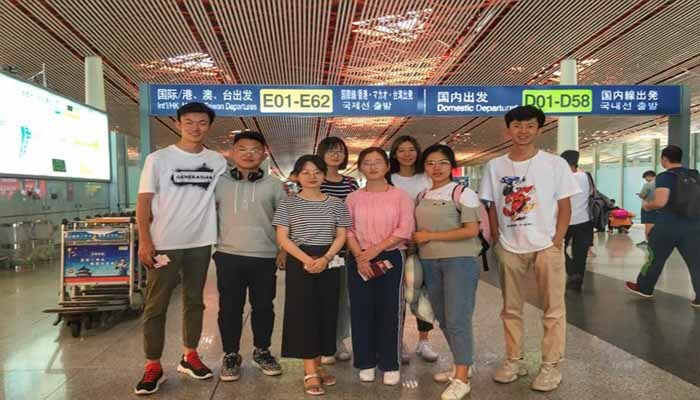 BEIJING: A group of seven Chinese students from Beijing Foreign Studies University’s Urdu Department left here for Islamabad to attend a programme at the National University of Modern Languages (NUML) to further enhance their Urdu language proficiency. “The students selected from a batch of 22 students currently studying Urdu at the university will attend the NUML, Islamabad for six months to improve their Urdu language skills,” Head of Urdu Department, School of Asian and African Studies, BSF University, Zhou Yuan said here on Wednesday. “This activity will provide a chance to our students to not only upgrade their spoken Urdu but also aware them about Pakistan, its people and culture,” she told APP. Zhou Yuan said that many Chinese students were learning Urdu at different universities and institutes around the country, including Beijing. To cope with the demand owing to China-Pakistan Economic Corridor (CPEC) framework, several universities in Shanghai, Tianjin, Kunming, Urumqi and Inner Mongolia were considering setting up Urdu departments, she added. Zhou Yuan, who has adopted a Pakistani name ‘Nasreen’ informed that the students who would study Urdu in Pakistan had also adopted Pakistani names. These students included Wu Jiahao (Amber), Wang Jingjiu (Junaid), Zhu Liyuan (Sehrish), Lu Dongxin (Sadaf), Xu Yichen (Sahar), Chen Qiyuan (Musa) and Fan Siyuan (Mehtab). These students would continue their study in China after completing one semester at NUML.